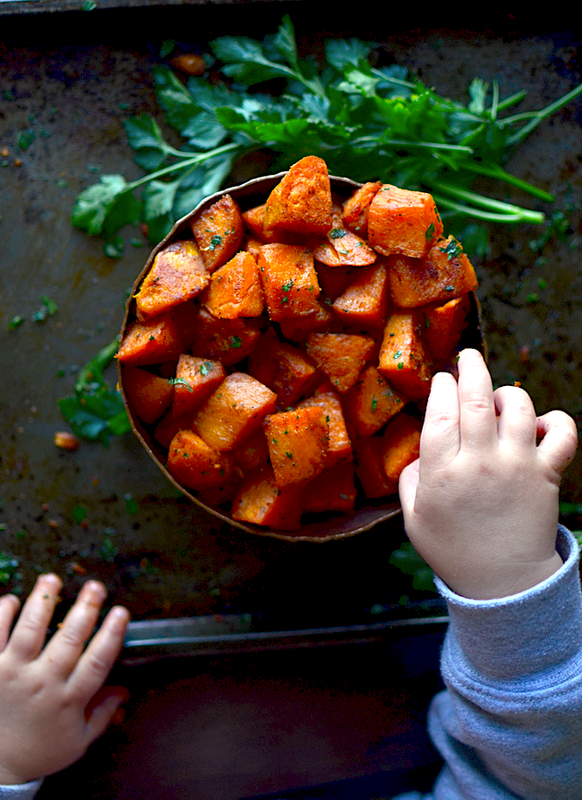 In case you haven't guessed from my pen name, sweet potatoes (AKA yams) are pretty much my favorite thing ever. So why has it taken me almost seven years of blogging to finally post my favorite recipe for my favorite food? I can't tell you. All I know is that I'm here doing it now. 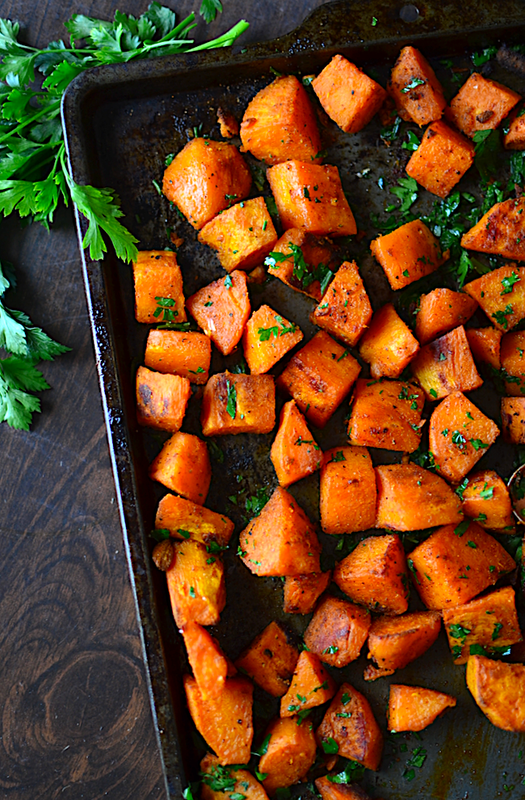 Ok, so it's actually really hard for me to pick a favorite sweet potato recipe. Not much can beat a good old, way-too-sweet marshmallow casserole. 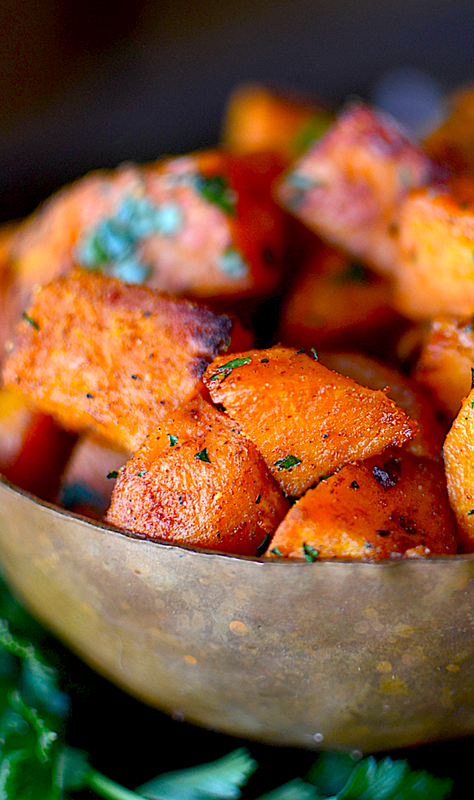 I adore sweet potato fries. 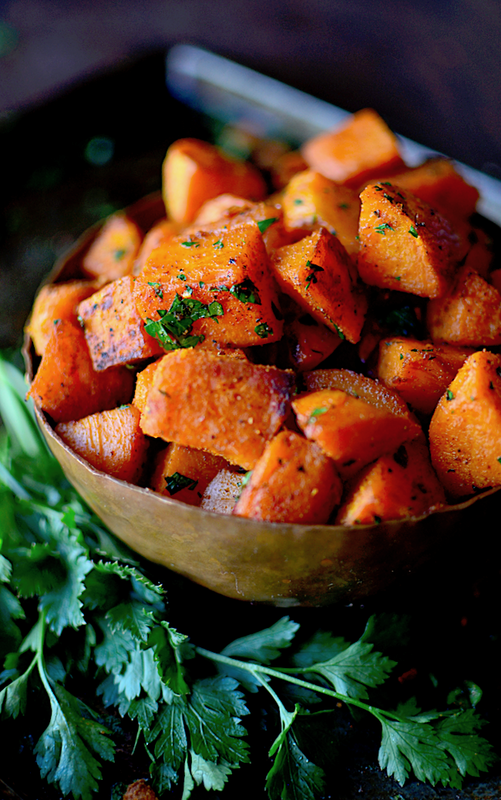 I put sweet potatoes in chili (like here), tacos (like here) and cupcakes (like here). I puree them in my soup (like here) and I bake them in my pies (like I did in my very first post ever, here). But really, I think these might be the winner. 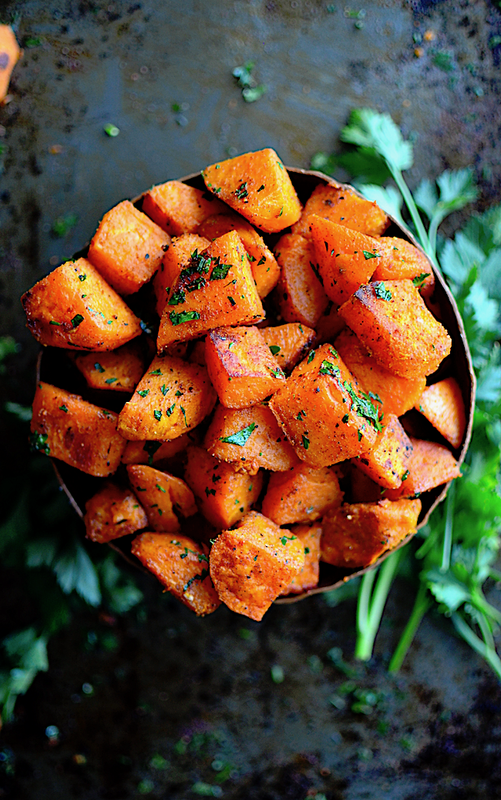 One thing I HATE is when sweet potatoes are hard on the inside. That's why I microwave them first so they are already softened up a bit (plus it makes it way easier to skin them with a knife). My other secret here is smoked paprika. I loooove smoked paprika, but actually had totally forgotten about it for a few years because I couldn't get it in Germany. Well, now I've been back for about 8 months and smoked paprika is finally back in my cupboard where it belongs. So give up the marshmallow sweet potato casserole for a year to make way for these babies on your Thanksgiving table (or maybe just make both??). Even your one-year-old won't be able to keep his hands off them. Poke a few holes in the potatoes with a fork and microwave for about 8 minutes (they should be softened, but not tender or mushy). Skin them with a knife (allow them to cool first or hold them in a clean tea towel while you skin them like I did). Then chop them into bite sized pieces. Melt the butter (or just toss the butter with them until it's melted if the potatoes are still hot). Add the oil, garlic, and seasoning. 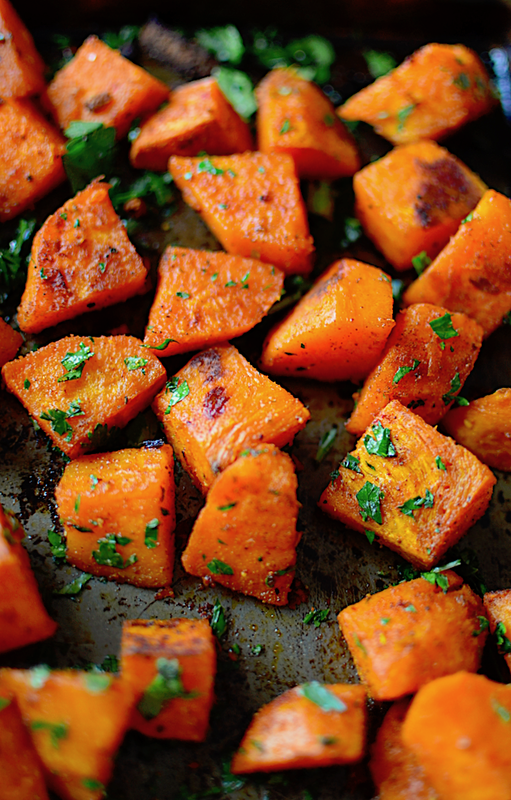 Spread them in one even layer on a baking sheet and bake for about 20 minutes. Flip them over with a spatula and bake them for 10-20 minutes more or until they are nice and brown on the outside and soft on the inside. Garnish with fresh parsley if desired. Add more of the seasonings to taste if desired.